This month I celebrate 40 years as a runner. Back in 1976 we had just moved from to New Canaan, Connecticut from Boston. I’d been promoted to vice president of a major fast food chain after having operated a small subsidiary for three years. My last act in office in my former gig was opening a new restaurant concept, a task fraught with 100 weeks and the loss of about twelve pounds to 168 pounds, the loss of which suited me and that I maintained for thirty years. 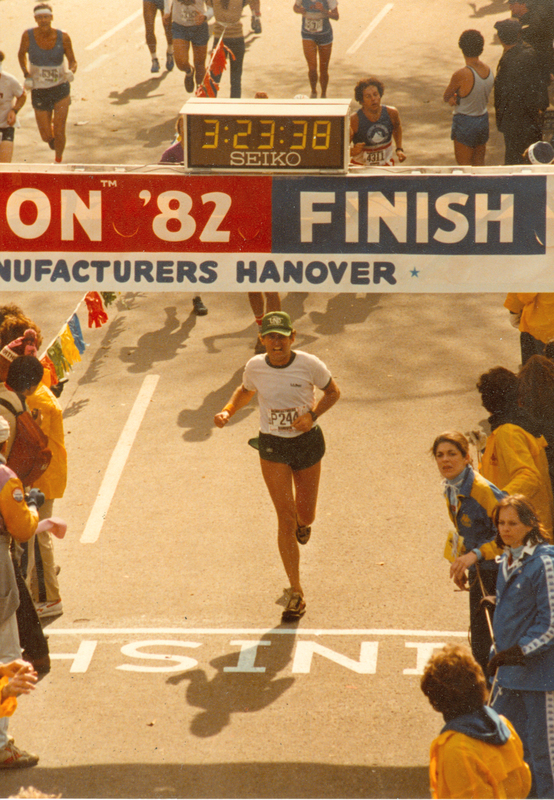 This all happened at the apex of the running boom that started with Frank Shorter’s marathon win in Munich, Billy Rogers' victories in Boston and the publication of the book with a red cover and the taut and sinewy legs of one Jim Fixx. For you sports historians that was The Complete Book of Running. In March, all caught up in the furor and wanting to keep my boyish figure, I began running, if you can call it that, from our house. At first I could make it precisely .8 miles at which point I would walk around the intersection and shuffle back home. Pathetic is the term that comes to mind. After a couple of months in I contemplated running five miles for the first time. You’d have thought it was an ultramarathon. I was so unsure I could do it that a requested a sag wagon. As I remember it I asked Peggy to wait on the main road to from New Canaan to Pound Ridge just in case I succumbed to exhaustion. 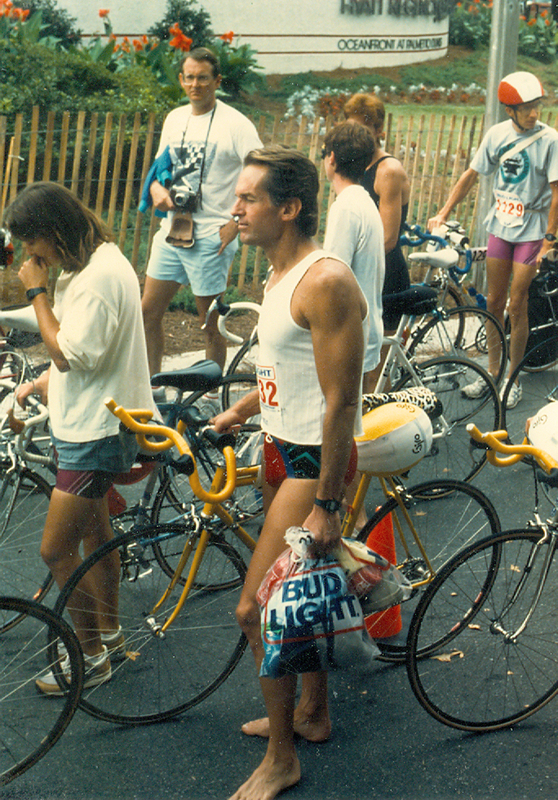 Happily that I didn't happen and, in a self-congratulatory glow, ran my first road race just over the hill in Wilton, CT on July 4, 1976. The time was not memorable. Let's just say I did beat it by 13 minutes in 1987. 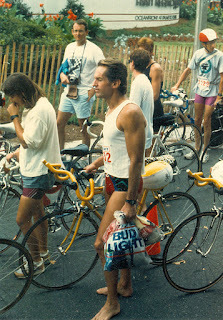 1987 Triathlon National Championship at Hilton Head. A modest 40th of 102 45 to 49 year olds. Some 55,000 miles later, running and fitness have been major part of my life, behind only family and a good meal. My next 55,000 miles is, well, a laugh line. I have slowed to a crawl and the cartilage loss in my right knee has me, if not hobbling, moving gingerly. Don't get me started on my pulled hamstring. Still hope springs eternal and my delusions may be forgiven at this very senior moment. You maintained your 168, you say, for thirty years. What about the last ten? It's now 155 but that's more a function of shortage than weightage. I'm shrinking before my very eyes. Kind of like watching grass growing but in reverse. This one hits home...keep on trucking my friend. Congratulations, Steve, on 40 years of running! 55,000 miles is quite something. Who knows how many thousands more are in those very able legs of yours. Great photographs and history of your running life! We'll celebrate with a mischievous bottle of wine at some point!